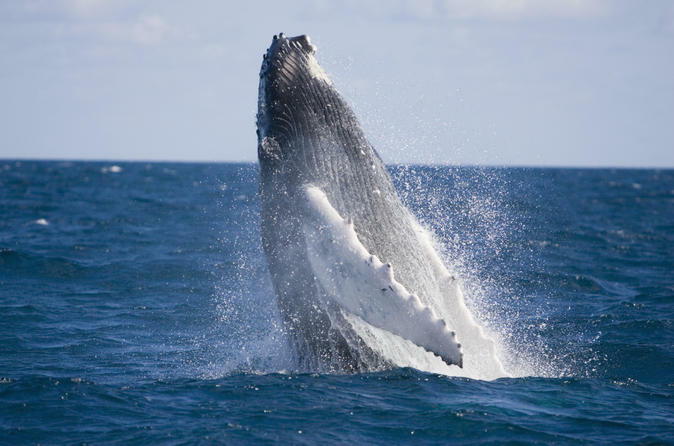 See magnificent humpback whales at play on this half-day cruise from the Gold Coast. You'll enjoy unobstructed 360 degree views from all three decks of your purpose built vessel and the experienced crew, including a marine naturalist guide, will provide the closest whale encounters possible. With a maximum of 65 passengers per cruise, this is one of the the Gold Coast's most intimate and informative whale watching experiences. Leave the crowds behind and go stargazing and wildlife watching in Mt Tamborine National Park’s eucalypt rainforest. Australia's only night-time rainforest and glow-worm tour by 4WD takes you into the rainforest searching for native flora and fauna by torchlight. 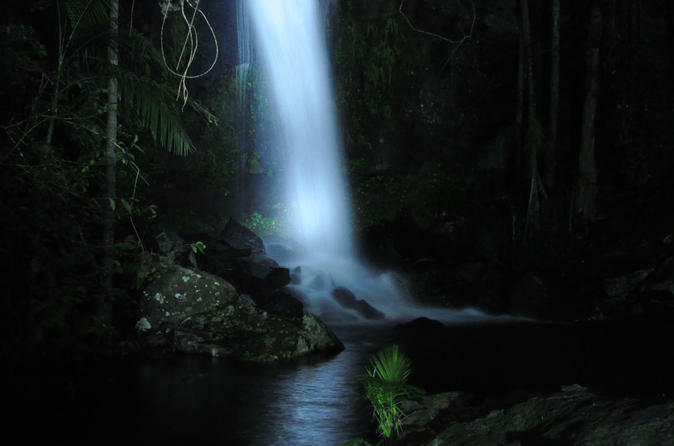 Follow your guide on a nocturnal bushwalk to a magical waterfall lit by the twinkling glimmer of glow worms, and enjoy personalized attention on this must-do small-group tour. 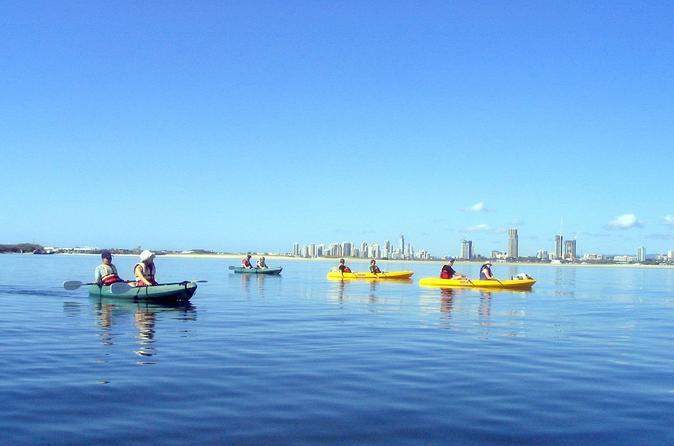 Paddle to South Stradbroke Island and keep a look out for dolphins and whales on this half-day Gold Coast kayak tour. Visit secluded islands, enjoy breakfast on the sands and go snorkeling with tropical fish off Wavebreak Island. Suitable for all fitness levels, the tour includes instruction for kayaking and snorkeling first-timers, plus an interpretive talk about the islands and their environment from your friendly guides. Join the Outback Tracks tour and discover waterfalls cascading into mountain streams, thick green rainforests alive with native birds and animals and the rugged hillside trails on Tamborine Mountain. Sighting of kangaroos in the Tamborine area is common and not to forget the koala who are often seen sleeping the day away in a gum tree beside one of the rough bush tracks. 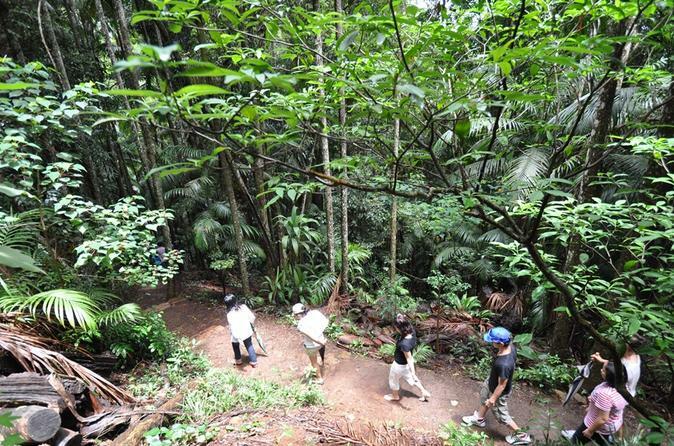 Joalah National park will be our first stop where our experienced guides will guide you through and explain the uniqueness of the Rainforests and Eucalyptus forests that make up the Tamborine Plateau. 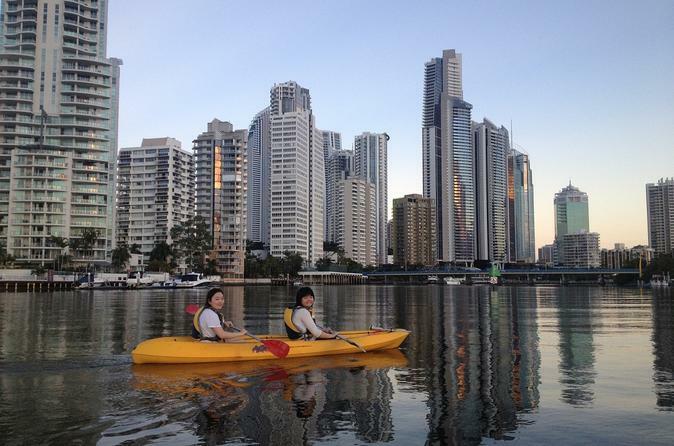 Start the evening with a sunset kayak on the calm waters of the Nerang River in Surfers Paradise. Wind your way around the islands and admire the opulent waterfront homes of the rich and famous. Suitable for all fitness levels, this leisurely sunset tour includes kayaking instruction, and a fun and informative commentary from your friendly guide. 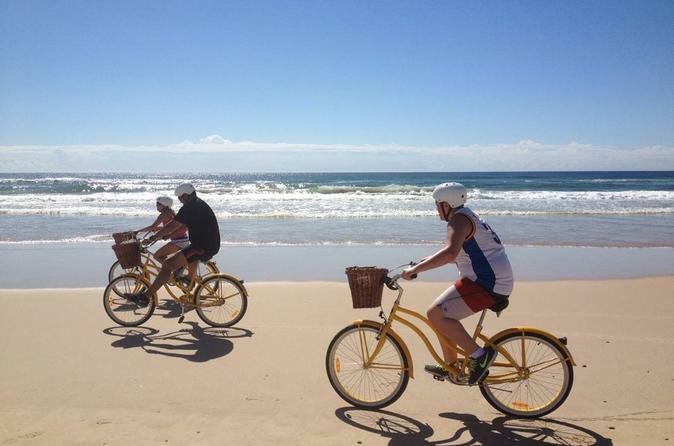 Experience the natural beauty of the Gold Coast during a leisurely tour by beach cruiser bike with an experienced guide. 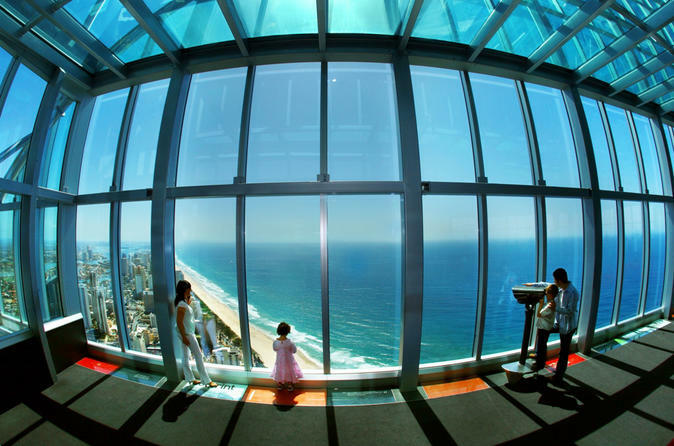 Pedal to viewpoints along the Seaway Jetty, ride on the sandy beaches of Surfers Paradise and take a spin around Marina Village. Hop off your bike to swim in a pristine bay, take photos of spectacular views and see historic sites. 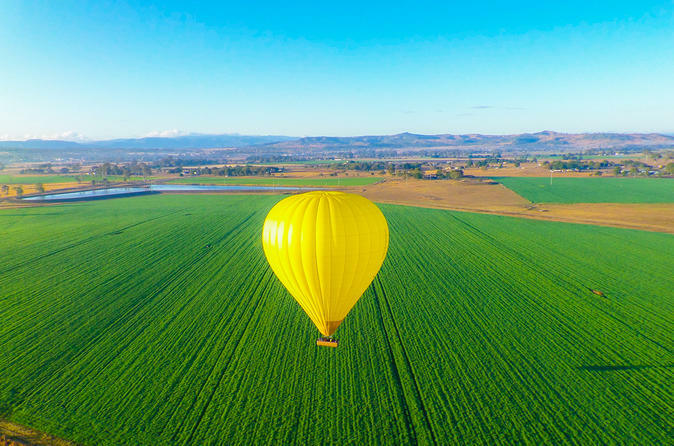 Enjoy the fun and freedom of cruising around by bicycle, the perfect way to get off the beaten track and discover the Gold Coast. 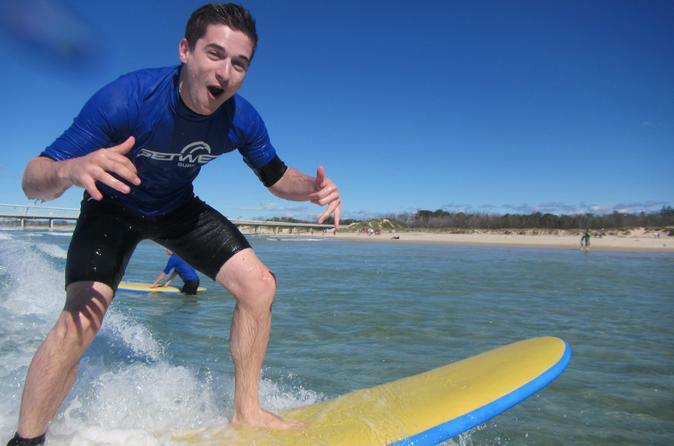 Anyone can now experience the thrill of a surfing lesson at one of the area's best surf schools. You'll have fun, be safe and you won’t believe how easy it will be to get up and riding! Learning to surf is an amazing experience and an awesome thing to do while in Surfers Paradise. This surf lesson caters to all ages and levels of fitness and swimming abilities. Enjoy a two hour surfing lesson at World Champion Cheyne Horan School of Surf. Learn to to catch and ride wave in a controlled and safe environment. You’ll learn to surf in waist deep water with easy to ride waves using soft surfboards that will help you to learn faster. With lessons for both beginners and intermediate surfer, there's something for everyone.